Jennifer G. Robinson, MD, MPH is a Professor in the Departments of Epidemiology and Medicine (Division of Cardiology), and Director of the Prevention Intervention Center at the University of Iowa, Iowa City, Iowa. As an active researcher, Dr. Robinson has performed numerous clinical trials sponsored by the National Institutes of Health and the pharmaceutical industry. She has conducted extensive research on a wide range anti-atherosclerotic and metabolic agents, including lipid-modifying, anti-inflammatory, antihypertensive, weight loss, and diabetic treatments as well as postmenopausal hormone therapy. 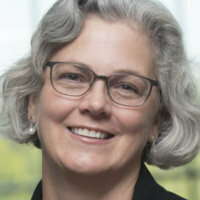 She is the principal investigator for the Women’s Health Initiative (WHI) at the University of Iowa as well as numerous WHI ancillary studies, including the WHI-Coronary Artery Calcium, WHI-Mental Status (WHIMS), WHIMS- MRI, WHI Study of Cognitive Aging, Omega-3 Fatty Acids and Cognition. Dr. Robinson has published over 200 peer-reviewed articles, book chapters, and editorials in the area of lipids-modifying drugs, cardiovascular risk stratification, and cardiovascular prevention, with multiple publications in the New England Journal of Medicine and JAMA. Her book, Clinical Lipid Management, was published in 2016. She has lectured widely on preventive cardiology and the diagnosis and treatment of disorders of lipid metabolism in the US and internationally. She was Vice-Chair for the 2013 American Heart Association/American College of Cardiology Cholesterol Guidelines (formerly known as the National Cholesterol Education Program Adult Treatment Panel IV) and a member of the 2013 American Heart Association/American College of Cardiology Risk Reduction Guidelines (formerly known as the National Heart, Lung, and Blood Institute (NHLBI) Risk Reduction Working Group). She was Co-Chair of the NHLBI workshop “Filling the Gaps in Cardiovascular Guidelines How to Prioritize Research Questions and Facilitate the Conduct of Pragmatic Trials to Answer High Priority Questions”. She is President-elect of the National Forum for Cardiovascular Prevention, and chairs the National Forum’s Cholesterol Awareness and Value and Access Initiatives. In addition to long involvement in multiple American Heart Association (AHA) committees, recent leadership roles include serving as Chair of the Lifestyle Track for the American Heart Association Scientific Sessions. A well-regarded teacher in the College of Public Health and the College of Medicine, Dr Robinson teaches Cardiovascular Epidemiology and Chronic Disease Epidemiology. While at the University of Minnesota in Minneapolis, Dr. Robinson received her medical degree and completed an Internal Medicine residency with the College of Medicine, and received a Master’s of Public Health from the College of Public Health. She is a diplomate of the American Boards of Internal Medicine and Clinical Lipidology and a Fellow of the American Heart Association.